Music festivals and Hip Hop have always had an interesting relationship. Hip Hop only festivals such as A3C in Atlanta and the Brooklyn Hip Hop Festival present a different formula, but mainstream festivals by nature typically only feature a sprinkling of rap’s finest on top of their indie rock and electronic infused schedules. 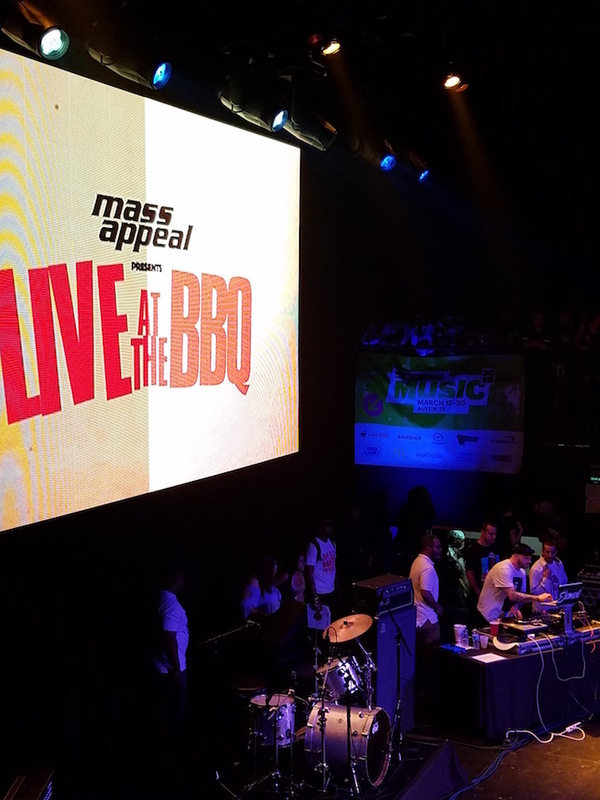 While this year’s South By Southwest festival felt more Hip Hop than years past musically, the second-annual “Live At The BBQ,” presented by Mass Appeal, was a nice escape from the festie norm and created a refuge for Hip Hop heads to turn up. 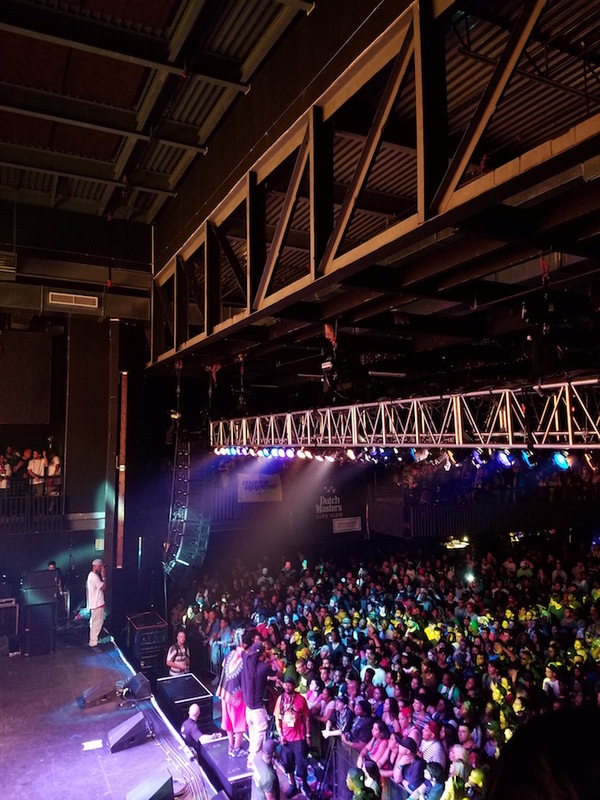 Taking place at Austin’s Music Hall, Live At The BBQ was consistently good energy, with a stacked line-up and even more special guests, which the audience seemed to acknowledge on a delay while digesting just how Hip Hop the room really was. As a result, missing this event in particular was one hundred percent an unforgivable mistake met with appropriate levels of FOMO for those lucky enough to attend the festival this year. The centerpiece of the night was Duck Down Music’s tribute to the late Sean Price, which coincidentally took place on his birthday, March 17. The dedication was hosted by his “extended family,” with Bernadette Price a.k.a. Mrs. P herself coming out on stage with a special birthday cake crafted in the shape of his iconic P! The tribute, which was held down by DeeJay Element on the 1’s and 2’s, saw performances by members of the Boot Camp Clik, including Buckshot, Smif-N-Wessun and Rock from Heltah Skeltah. The block of time dedicated to P was a clear highlight of the night and it made those in attendance wonder if the crowd that lost their minds to Yo Gotti afterwords understood just how special a legend Sean P truly was within the genre. The stage was blessed by an insane amount of talent with different sounds of hip hop being represented all under one roof. Nas, DJ Khaled, Yo Gotti, Just Blaze, Trae Tha Truth, Mannie Fresh, Dave East, Bas, Boldy James, Super Black, Ezzy, Mobsquad Nard, BIA, Bun B, 2 Milly, Freeway, 2 Chainz and Wyclef Jean all shared the mic throughout the evening, with Cipha Sounds, DJ Green Lantern and Large Professor representing as house DJs. Understandably so, it was a lot to take in, but without a doubt, was one of those incredible nights you keep tucked safe in the back of your mind and look back on fondly. Hip Hop was alive at SXSW this year thanks to the BBQ.